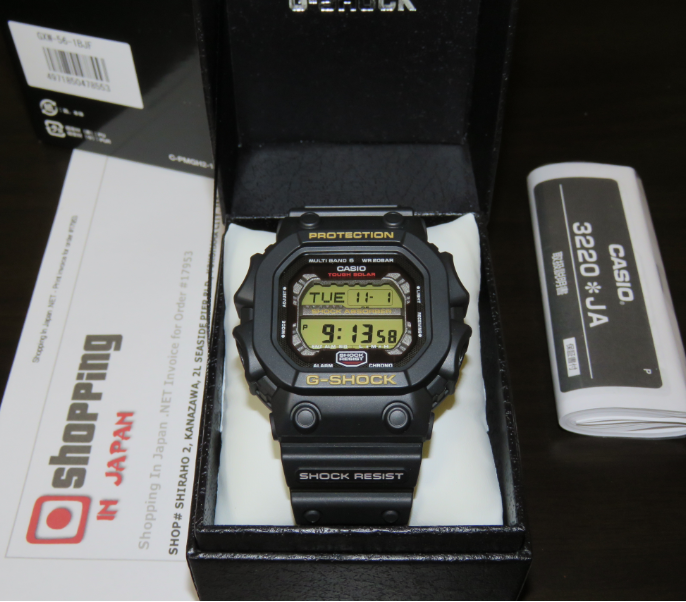 We are now selling directly from Japan on this G-Shock GXW-56 GX Series that comes with Multiband 6 Radio Atomic time, Tough Solar, Auto Calendar, and has Module 3220. 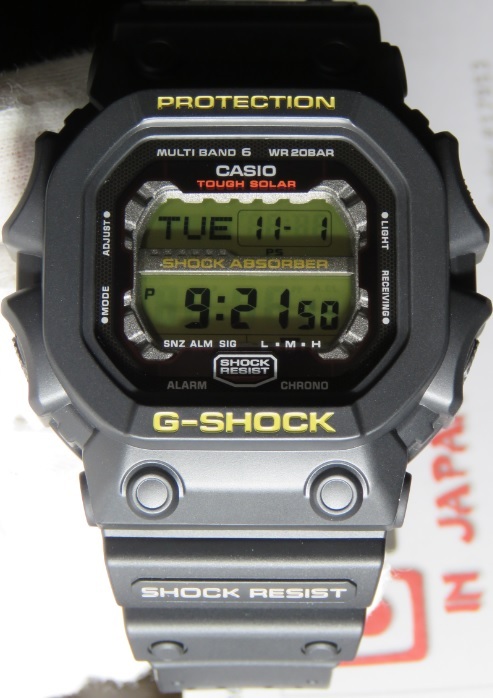 This Casio GXW-56-1BJF is a JDM (Japanese Domestic Market) watch model and it's now in our stock - ready to ship within 48 hours to any country. So buy now before it’s too late! What a great watch, I think with some band options this will be worn every day to work. Casio is the best for overall selection and price. I'm very happy with the clock and the store. I recommend this shop to everyone. This is an awesome piece of watch! Good quality and worth the price. My experience with Shopping in Japan is fantastic. The services rendered is good and reliable, prompt and on-time delivery. Highly recommended. Thank you very much! Got this watch here as it was rare to find in Singapore. Big watch but suits my wrist perfectly. Awesome appearance! Extreme is how you describe this watch. Extremely big, extremely durable. Love the tough solar so I won't have to change battery for awhile and love the atomic timekeeping. Great customer service as well!!! Wil be buying from you guys again soon! Honestly can't go wrong with this purchase. Great watch - real man's one, big and brutal! - and excellent service too. Special thanks to manager Sara who kindly agreed to change order after it had been booked and responded to all my questions and worries. Will recommend all my friends to buy only in ShoppingInJapan. BTW, it is a pity that Casio stopped this model. Would be nice to have it continued. It enjoys lot of support and love in Russia. A real man`s watch !!! The WATCH is absolutely great , I just love it . Shipped on time and arrived sooner that expected. Export representative especialy was extremely nice and profesional. Cheers Mina and thank you! Awesome watch ! Shipped timely no issues packaged very safe with tracking . I live this watch. It is rugged and nearly indestructible. This watch will get plenty of use in rough environments and I have no doubt it will last longer than I will. Great follow up from customer service to keep me informed when the watch had shipped and when to expect it. Shipped on time and arrived within the estimated delivery time here in the U.S.
love the watch. feels solid. Casio does not let you down. Also great service from Shoppinginjapan.net! I'll definitely order again.